Instantly access a scalable, high-quality workforce. Categorize 100,000 news articles – and summarize them, too. 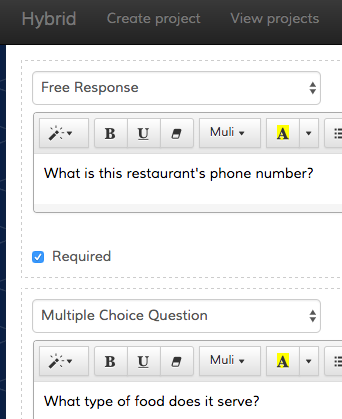 Make 10,000 phone calls – and figure out when restaurants are open. Get 1,000 users to try your product – and explain its attractions and flaws. Or just label a single image. 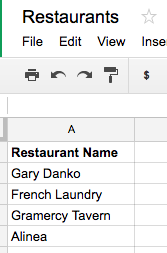 Our workers are highly educated, and behind-the-scenes statistical monitoring ensures accurate results. We take care of labor-intensive tasks for you, so you can stop performing them on your own. Create tasks with our friendly UI. Upload any information, and describe what you want done. Automate everything with our simple API. 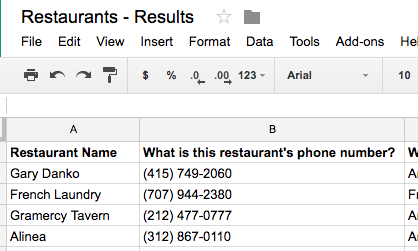 "text": "What is this restaurant's phone number?" Want a partner? We can run everything end-to-end for you, from project setup to custom integrations. We support multiple languages – including Spanish, French, German, Japanese, and more. Need special SLAs, support, or development? Learn about our enterprise offerings. We believe in combining humans and machines. Join our hybrid AI betas, or talk to us about building custom ML solutions.